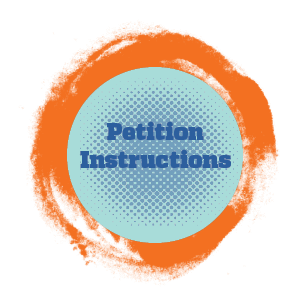 In general, petitions are approved if a documented university error has occurred on your record; e.g., incorrect advice from a university official, administrative error, etc. In general, petitions are approved if the committee determines that you experienced extenuating circumstances beyond your control and of such severity that you were precluded from successful completion of the semester. Students need to monitor their petition status online at Student Self Service under the heading Petition Status (under My Record on the left menu). Questions or concerns can be answered by the Office of the University Registrar at 352-392-1374. The constitution of the University of Florida and the Senate Bylaws specify that final authority for waivers of academic university regulations rests with the University Student Petitions Committee. The Office of the University Registrar reports the committee's decisions and has no authority to influence any decision. The University Student Petitions Committee meets each Tuesday. Please submit your petition and all necessary documentation by 5:00 p.m. the previous Friday. Due to the large number of requests, it may take 1-2 weeks before your petition is reviewed. The Dean of Students Office is responsible for receiving all paperwork and questions related to the process for all medically related course drops and withdrawals. For more detailed information on the medical withdrawal, process please refer to the Dean of Students' website, contact the Dean of Students Office at 352-392-1261, or visit 202 Peabody Hall.